As Hurricane Irma charges toward Florida, emergency officials worry about the United States’ fleet of hurricane hunter aircraft. 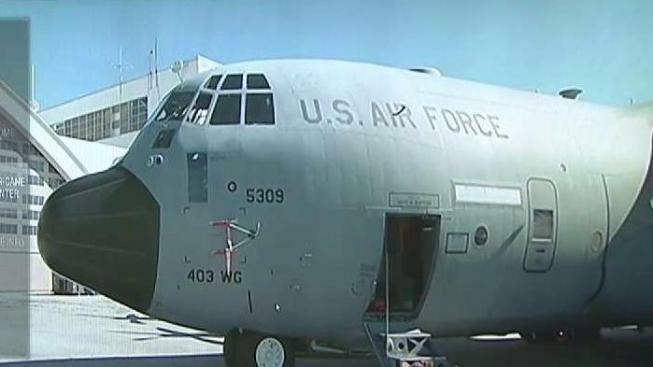 Hurricane hunters monitored by the National Oceanic and Atmospheric Administration (NOAA) fly into hurricanes to give officials a closer look at brewing storms. Without the planes, it will be difficult to predict the strength and movement of Irma as it approaches the coast. Florida’s congressional leaders say there’s no backup plane if any of the current fleet suffers a breakdown. Soto cites Section 413 of the Weather Research and Forecasting Innovation Act of 2017, which was drafted last year after a hurricane hunter aircraft had to land for emergency repairs during a storm. According to this law, the NOAA must maintain a backup aircraft capability in case one fails. NOAA told News4 it has nine aircraft, three of which can fly into hurricanes. They also said they are “working” to get backup planes in place.